One place for stakeholder engagement, legislative tracking, and grassroots advocacy. Quorum provides teams with a one-stop shop to monitor, communicate, and engage with their stakeholders. 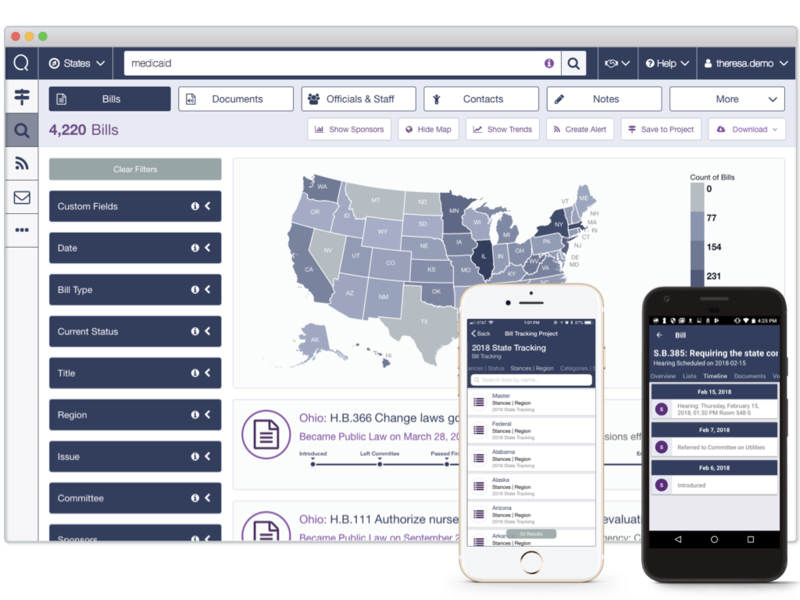 Track legislation, statements, and social media from elected officials in Congress, all 50 state legislatures, and the European Union. 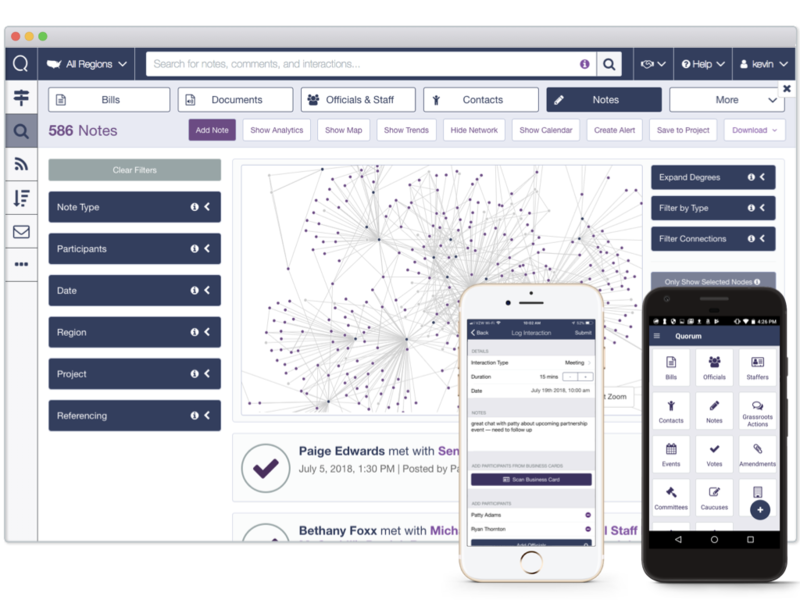 Use one software platform to manage lists of advocates or employees, send customized email calls to action, launch campaigns, and pull reports on actions taken. 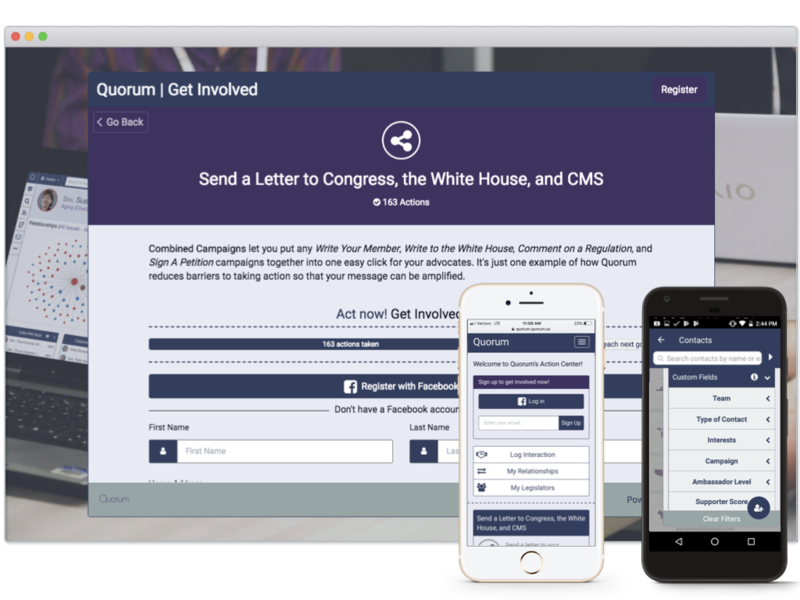 Quorum is easy to use for your advocates and your advocacy team.